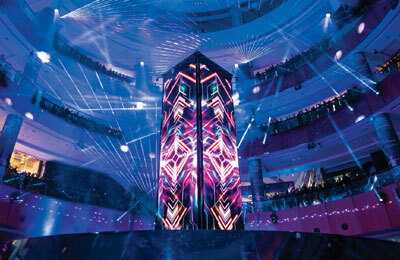 The Dubai Mall has turned 10 and celebrations have commenced with a mesmerising light and sound spectacle presented by Lune Rouge, the new live entertainment company created by Guy Laliberté, founder of Cirque du Soleil, and their first show in the Middle East. Titled, ‘Talisman’, the show is a visually stunning and immersive multimedia experience that will play nightly until November 28 at Star Atrium at The Dubai Mall. There will be one show every night at 8:15pm from Sunday to Wednesday, and two shows nightly from Thursday to Saturday at 8:15pm and 10:15pm.